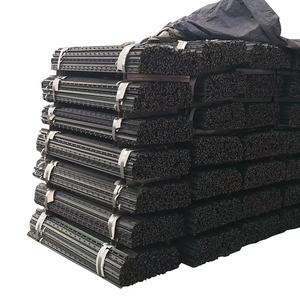 Metal fence posts Surface treatment: 1. Galvanized: Hot-dip galvanized, Galvanized before weld, Galvanized after weld. 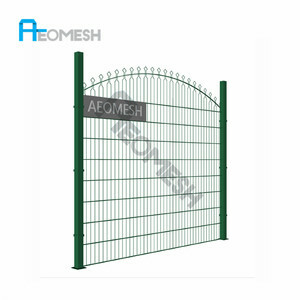 Metal fence posts Feature: 1) Fencing with round post is a popular product in many developed countries. 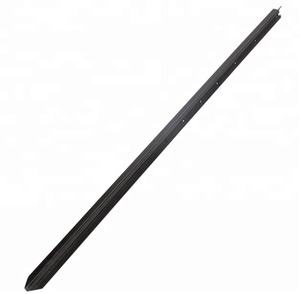 It is well suitable for a wide range of application, for example for residence, garden and road. Why to choose us: 1. Strict quality inspection Generally we have special people to test product quality double times. First time we test the material quality, Second time we test finished product quality. of Employees: 120people Cartographers:5,we can design drawing as clients requirement Personnel for prepare sample:5 No. 3:How long will it take to execute my order9 This depends on the size and complexity of the order. 5:How much will the shipping charges be9 This will depend on the size of your shipment and the method of shipping. The detailed inspection pictures of the order will be sent to you for your confirmation before delivery. 8 YRS Qingdao Xinjiarui Industry Co., Ltd.
or If you need more information on this new product, please contact us. Moreover, for special orders, we will use iron band for packing and air bags to prevent packing fa lling. Also you can download the materials of installation from our website. Due to its low sensitivity to weathering influences and its characteristic patina, the steel is used for these products. corten screens A corten steel garden screen to create an interesting separation of spaces. Developing a natural rust patina over time, Cor-Ten steel is a great choice for a more modern, rustic look. 9 YRS Bazhou City Shidailong Building Material Co., Ltd. Fence for gardens and houses to security and protection. 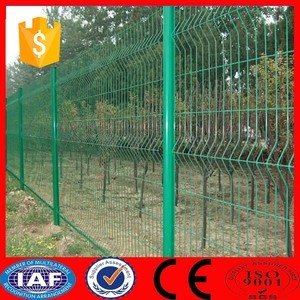 Wire mesh fence posts for security of forestry and forestry source protection. Fencing posts for isolation and protecting husbandry and water sources. 2 YRS Voshon International Company Ltd.
1. We have a standard production and complete quality control system to ensure high quality products to reach your requirements. 1. How can I place the order9 1) After all details of the order were confirmed, we will send you our signed and stamped proforma invoice. 4. How do we ship the goods9 We will quote you the ocean freight, if the goods is not large, it will be loaded by air freight or Express. 3.Any question,please feel free to contact us. We can assure you,any of your comments will get our prompt reply. If any item do not meet your request,we will replace for your by free! 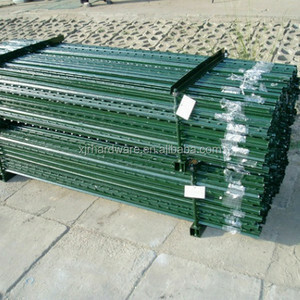 Alibaba.com offers 34,145 metal fence posts products. About 81% of these are fencing, trellis & gates, 3% are balustrades & handrails, and 1% are steel pipes. A wide variety of metal fence posts options are available to you, such as metal, plastic, and stone. You can also choose from steel, iron, and aluminum. As well as from pvc, poly, and pp. And whether metal fence posts is hemlock spruce, mdf, or mongolian scotch pine. There are 34,145 metal fence posts suppliers, mainly located in Asia. The top supplying country is China (Mainland), which supply 100% of metal fence posts respectively. Metal fence posts products are most popular in North America, Oceania, and Western Europe. You can ensure product safety by selecting from certified suppliers, including 15,587 with ISO9001, 5,181 with Other, and 4,159 with ISO14001 certification.